A service box is one of the most important parts of your home’s electrical system, and it rarely gets any attention or credit. Trapp Electric can help provide service box updates that bring your entire system up to speed. Without regular updates, you could find yourself with frequent outages. Don’t wait until you are without power to do something about your service box. Call Trapp Electric at (309) 444-8188 and schedule service box updates today! What Does a Service Box Do? A service box is a metal box where the building’s electric service conductors are located. It prevents circuits from overloading and causing a potential fire threat. 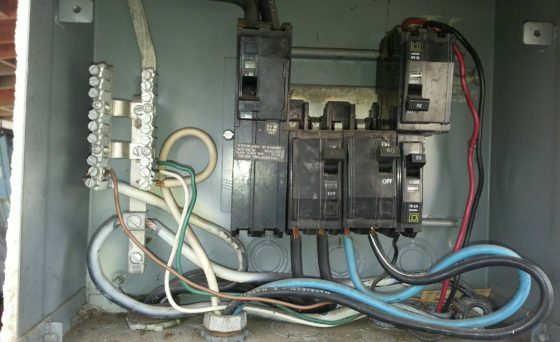 Many older buildings lack a proper circuit breaker box that will indeed trip when an overload occurs. Keeping your service box current and in good working order is insurance and peace of mind that you are protected. If you have answered any of the above questions affirmatively, you need to call Trapp Electric today. We are dedicated to providing fast, honest, and quality service to each of our residential and commercial clients. If you need service box updates at your home or business, Contact Trapp Electric today. Call (309) 444-8188 to schedule your appointment with our team of experts. Copyright © 2016 Trapp Electric. All Rights Reserved.